Massachusetts-based identity and access management platform provider Aveksa Inc. has added Single Sign-On (SSO) capabilities to its MyAccess Live cloud-based identity and access management product. 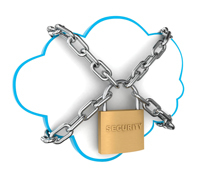 The SSO capability now ensures secure connections to on-premise and cloud-based Web applications. Its sign-on options include multi-factor authentication and desktop SSO. Its standards-based framework supports thousands of applications, and the product can also support mobile devices. The system also offers directory integration for rapid deployment, desktop SSO for access to applications and support for on-premise web applications. Aveksa is offering evaluations of MyAccessLive. It will be available through a subscription model based on the number of people whose access will be managed.